Imperial offers a wide range of cooking equipment for commercial kitchens, ranging from electrical products to specialist food equipment; there’s an Imperial product to suit every kitchen. The build standard and diversity of Imperial’s product range is their most impressive feature. 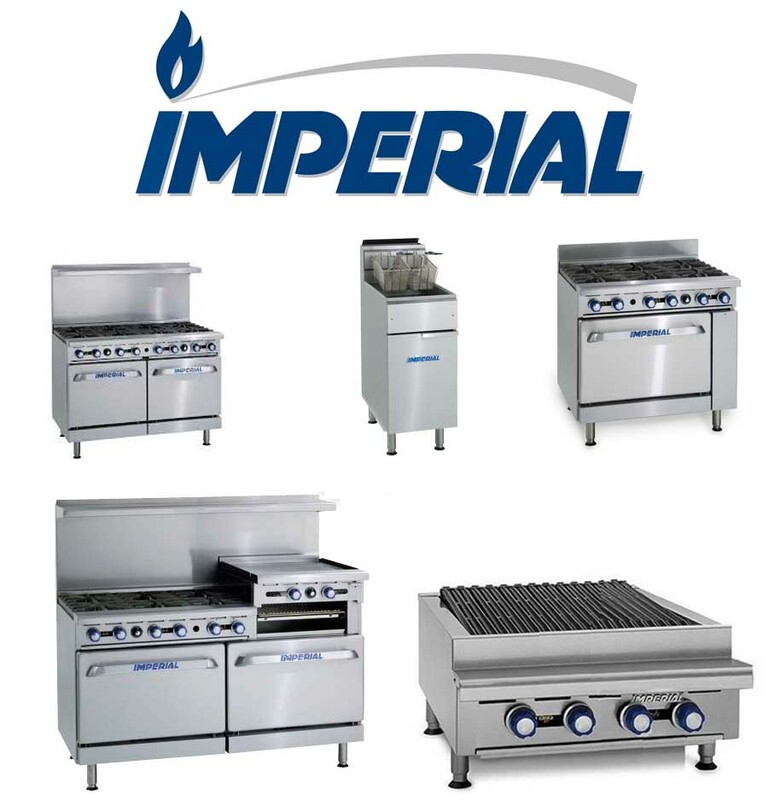 Whilst most catering equipment companies choose to only produce one catering equipment type, Imperial covers a variety. This includes specialist equipment, such as equipment specifically designed for Teppanyaki dishes or Chinese cuisine. As an expert of catering equipment, K.C.S. can help you discover the perfect equipment for your kitchen. We are also qualified in installations, servicing, and repairs of catering equipment. As a Gas Safe installer you can be rest-assured your gas appliances are being handled by a professional. Discover what Imperial catering equipment best suits your kitchen’s requirements. We are able to sell and install Imperial equipment. If your cooking equipment does not meet legal requirements you could receive a penalty of up to £20,000 or two years imprisonment. Servicing is essential for ensuring equipment safety. We can have an engineer onsite within 24 hours of your initial phonecall*. We understand the urgency of cooking repairs, and the dangers if it isn’t fixed promptly, so offer a fast and reliable service.